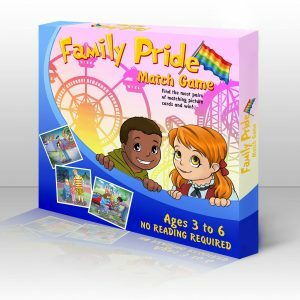 Set against the back drop of a colorful county fair, Family Pride is the first memory game to proudly highlight LGBT families and many other diverse family make-ups; single parents, Jewish parents, Muslim parents, Grandparents, Straight parents and more are all happily displayed on thick, durable cards. 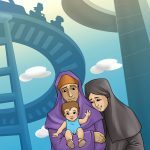 This groundbreaking multi-cultural game puts a new spin on a classic past time and heightens focus and awareness in a vibrant new way. 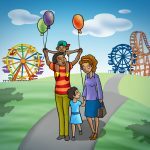 It is perfect for young children and seniors alike (or anyone who wants to test his or her memory). To play, place all cards face down in a grid and then turning over a pair at a time while trying to find a match. It’s easy and fun! 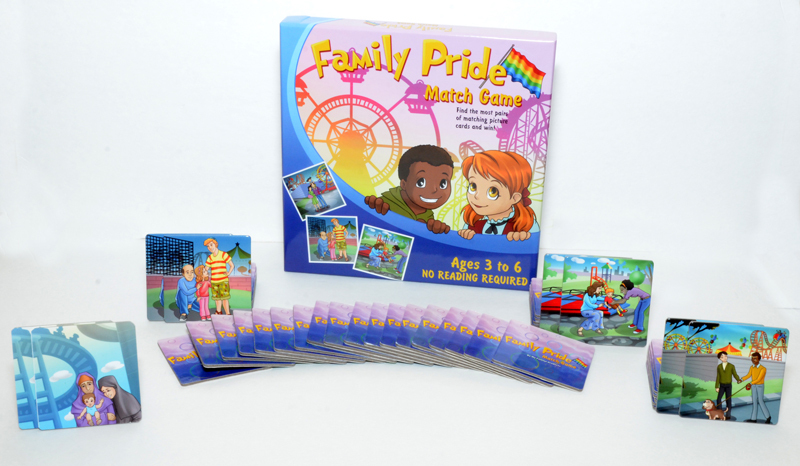 Family Pride is the only game of its kind and is produced by My Family! Products, a subsidiary of Dodi Press. Playing cards are very strong and ideal for young players! Available now through Amazon.com, eBay and WeBuyBlack. This item makes a fantastic gift. Click any seller link above to order today and get free shipping*! Free shipping applicable to eBay, WeBuyBlack and Amazon Prime customers.